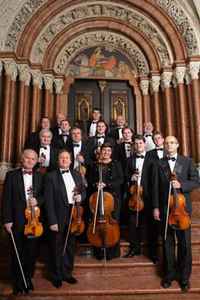 Hungarian chamber orchestra founded in 1963. The first artistic director of the ensemble was Frigyes Sándor. After his death in 1979, János Rolla continues his work as the concertmaster of the ensemble. The ensemble consists of 16 strings; a harpsichord soloist can complete the ensemble, as well as wind and other instrumentalists. They rarely use a conductor, playing under the leadership of János Rolla. Its repertory spans almost the entire history of music from Monteverdi, Bach, Vivaldi, Mozart to the romantics and to the 20th century composers.